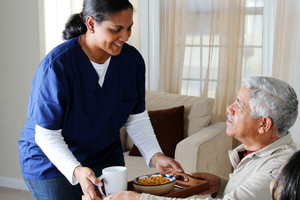 As the leading provider of patient information and patient adherence strategies in the healthcare industry, we know how important it is to have a well-trained staff who understands how to properly administer medication and provide care to the elderly and infirmed at any home care nursing or staffing agency. Our easy-to-understand training materials will not only allow your staff and new-hires to avoid common mistakes when working with your patient base, but reduce your liability exposure at the same time as the opportunity for careless mistakes lessens through more knowledgeable staff in the field. Recognized internationally for our easy-to-understand staff training and patient compliance materials, we’ve been improving the quality of the healthcare landscape for over 30 years. Customized patient education content for staffing agency websites, caregivers and home care professions. Creation of standalone staff education web portals to address common caregiver mistakes, and train correct procedures. Creation of brochures and educational print matter to be distributed to caregivers for training and home user. Creation of employee newsletters, either digital or print, to be branded in client’s name for transmission to employees as ongoing training. Are you a health insurer looking for ways to strengthen your bottom line through improved subscriber health and compliance? Give us a call now at (703) 734-0650 for a confidential consultation and needs assessment.